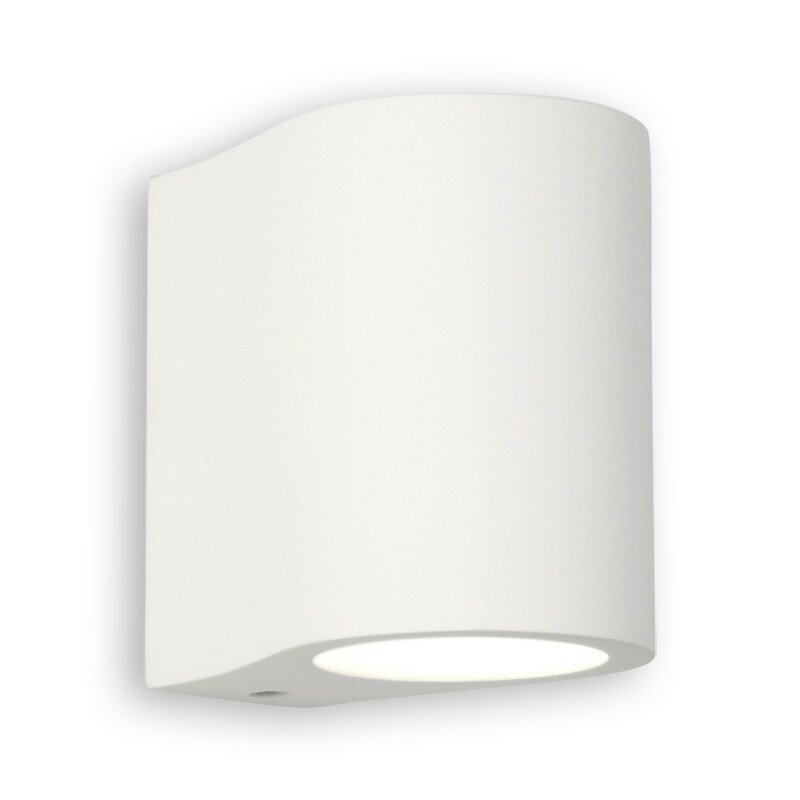 Fabulous and funky interior wall light with a white plaster finish that can be painted a colour of your choice. This unique cutting edge design will totally transform any interior wall. It features a large semi-oval plaster surround, with a central lamp that casts wide fans of light above and below. Truly stunning. A¬†flexible lighting solution to any room that needs specified for new lighting design. Particularly suited to a living room, it can also be used in a complete variety of settings.